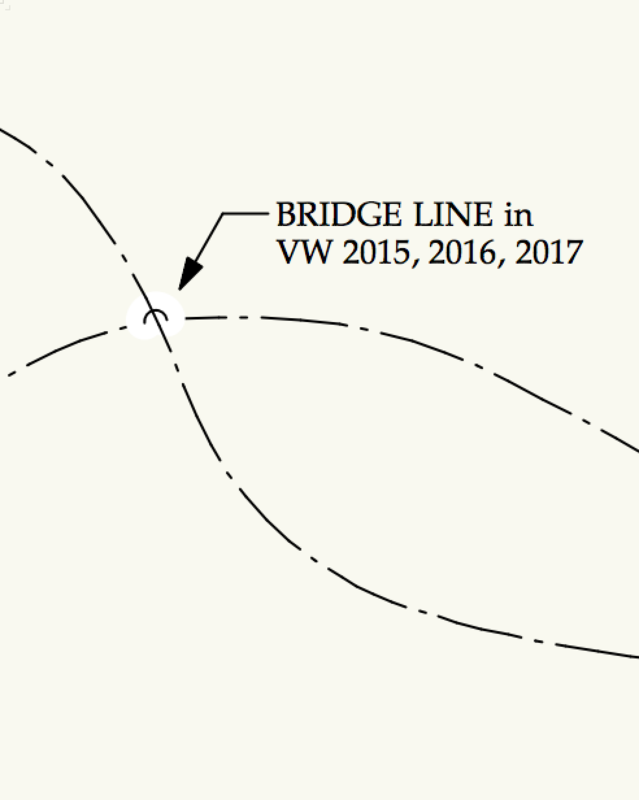 Please fix the bridge line tool. It should NOT have white fill behind the arc. It should only have white fill behind the line between the ends of the arc. The tool is unusable in its current state. We have dozens of these on our electrical plans and we have to delete them all. This has been an issue for the last three versions of Vectorworks. It was correct in version 2014, why was this changed? Clearly after three versions, someone up there must not understand the use of this tool. This bug had been submitted, adding this thread to the case. I cannot believe that the Bridge Line tool was not fixed in 2017 SP 3. This cannot be a difficult task for the programmers. The current tool is unusable. 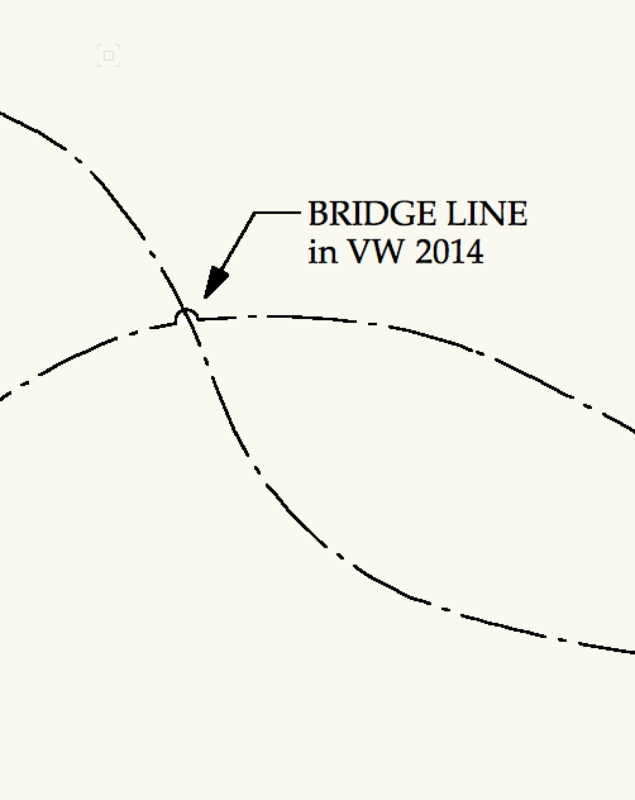 I guess I will have to write my own Bridge Line tool in Vectorscript, although I do not feel I should have to do that. If you go into the Bridge Line preferences prior to inserting the object you can check the 'set cover weight manually' option and then that option can be set in the OIP. There's an open ticket on this, I'll press to get it worked on. I do also see that the arc is getting the cover highlighting. I'll submit something for that as well. I have already posted this to tech support several times. Yes, I know of the preference settings, but if you set the cover weight high enough to cover the straight line, the arc line sets to 5 times the line weight of the straight line, when there actually should not be any cover on the arc line.